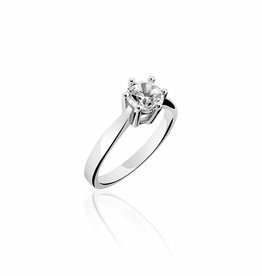 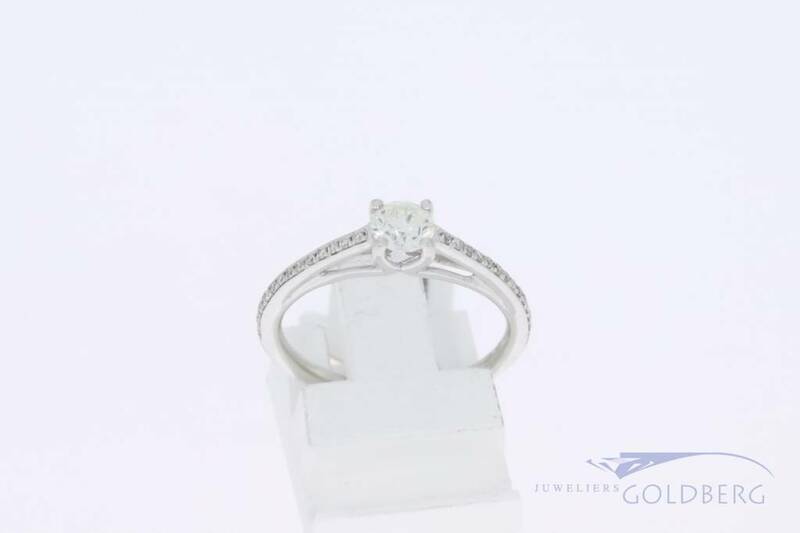 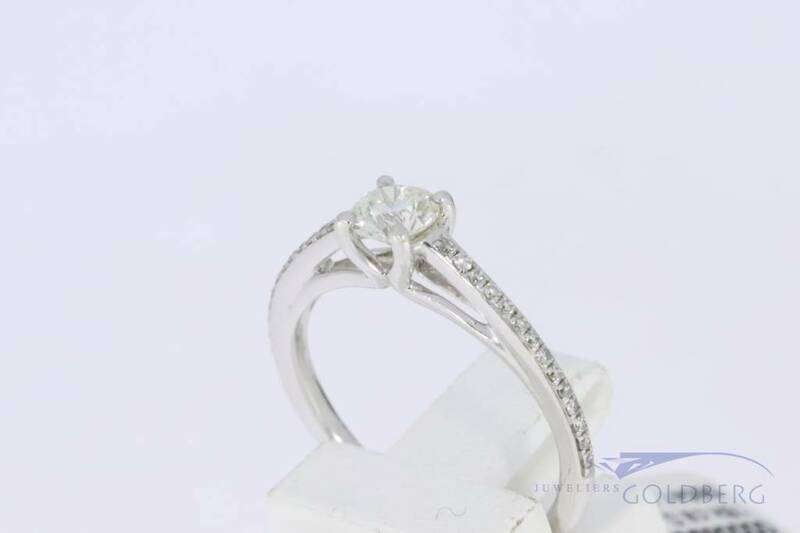 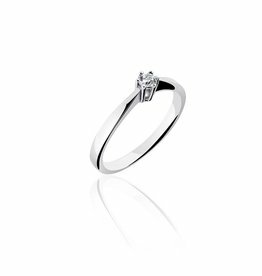 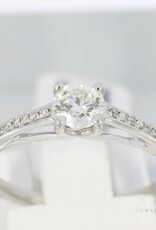 Beautiful 18k white gold solitaire ring / engagement ring with a total of 0.48ct in brilliant cut diamonds. 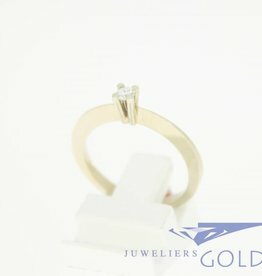 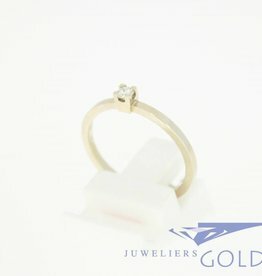 (1x 0.34ct and 28 x approx. 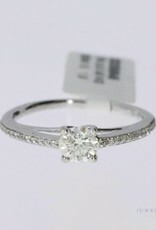 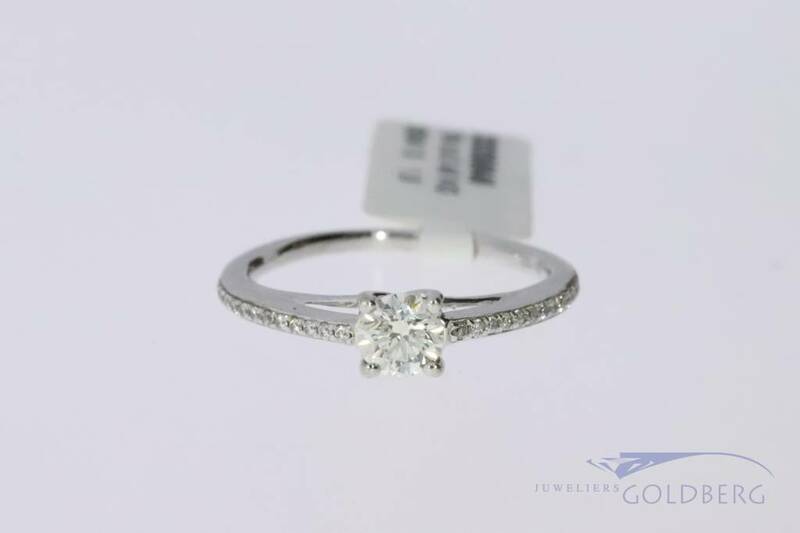 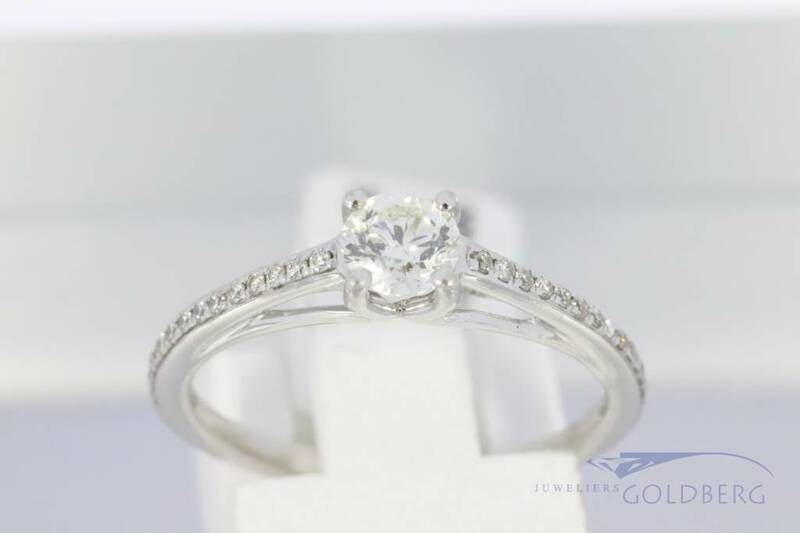 0.005ct) This is a "returned ring" (officially pre-owned but in like new condition *). 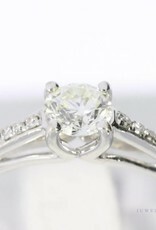 The ring is set in the middle with a beautiful 0.34ct brilliant cut diamond (VS / TCR) and set on both sides with 14 brilliant cut diamonds of 0.005ct. 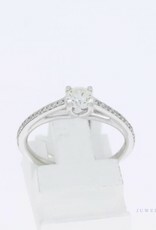 Ring size 16 (50). 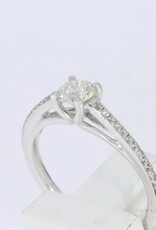 Due to the large quantity of stones on both sides of the ring's size cannot be changed, hence the favorable price. 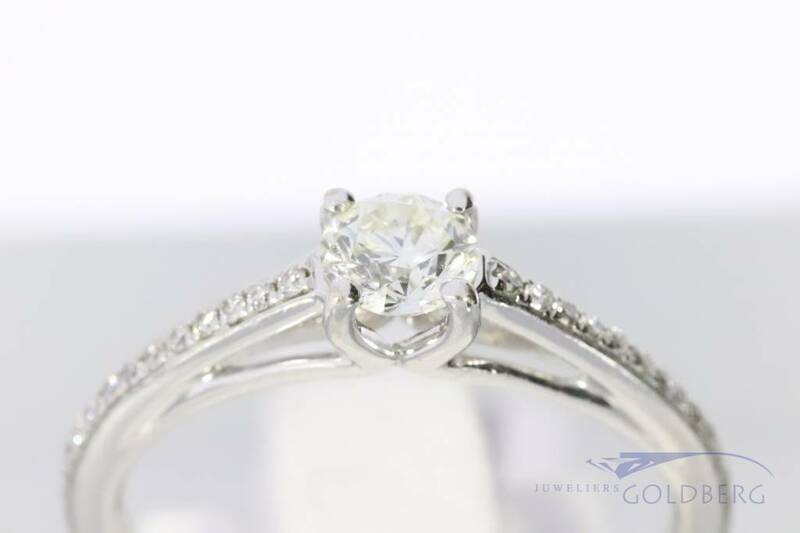 Truly a beautiful, stylish ring.